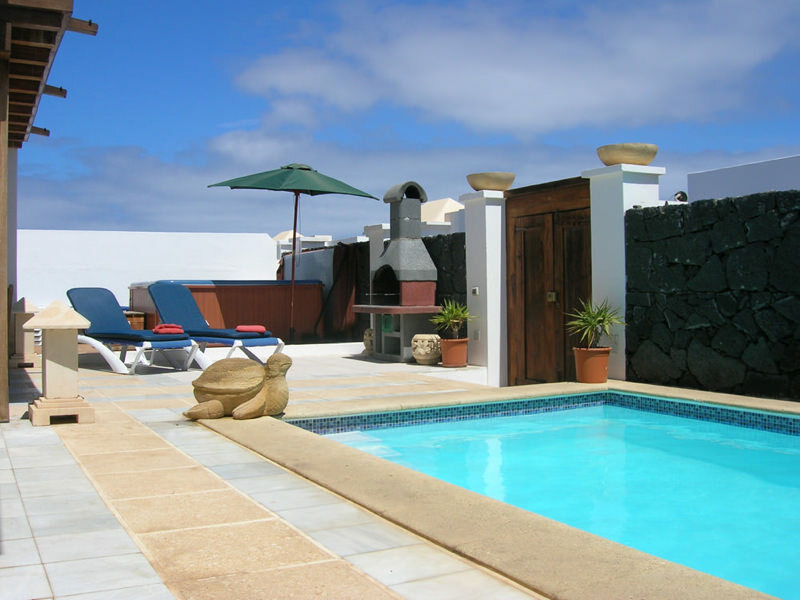 Villa Linda is a detached private villa with fully heated pool and hot tub option. It also has a shaded patio and pergola area. Free towels, high chair, cot and Wifi. 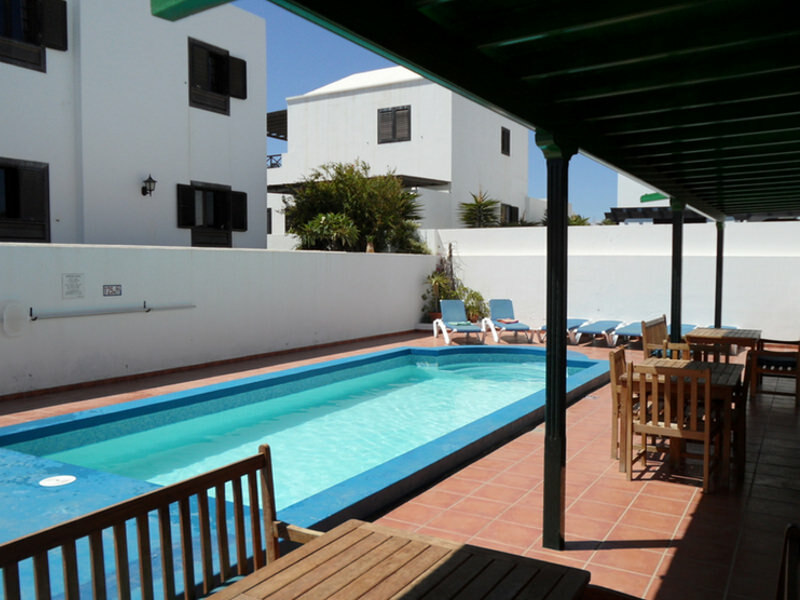 Villa Linda is a stunning three bedroom villa in a gorgeous seaside location within a short walking distance of the Playa del Cucharas beach. 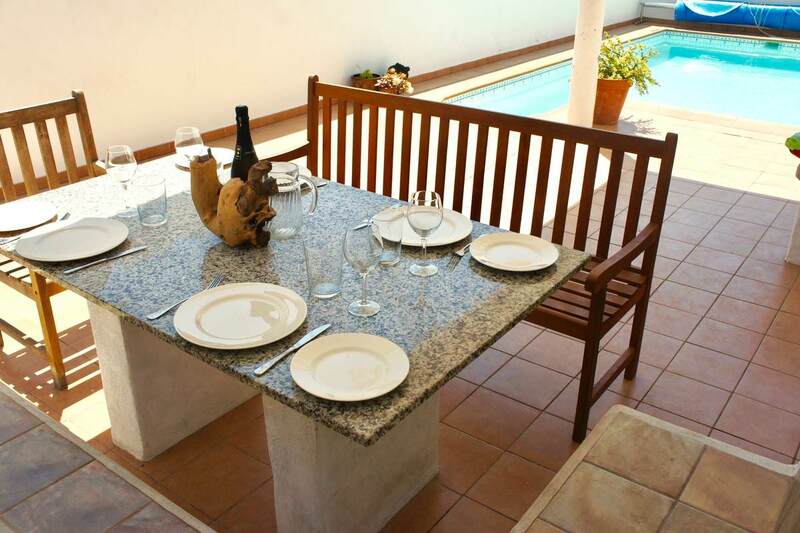 Villa Linda can accommodate up to six people, as well as facilitating for infants with cots and highchairs. 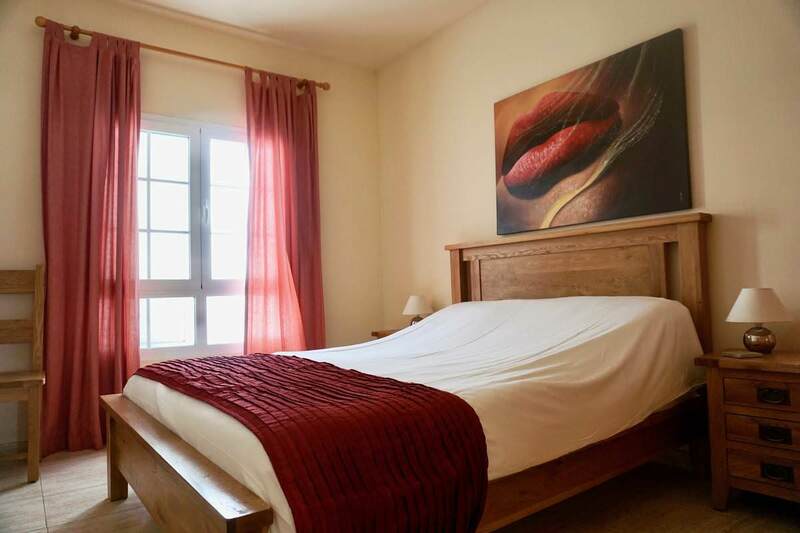 One king bedroom and two with twin bedrooms. 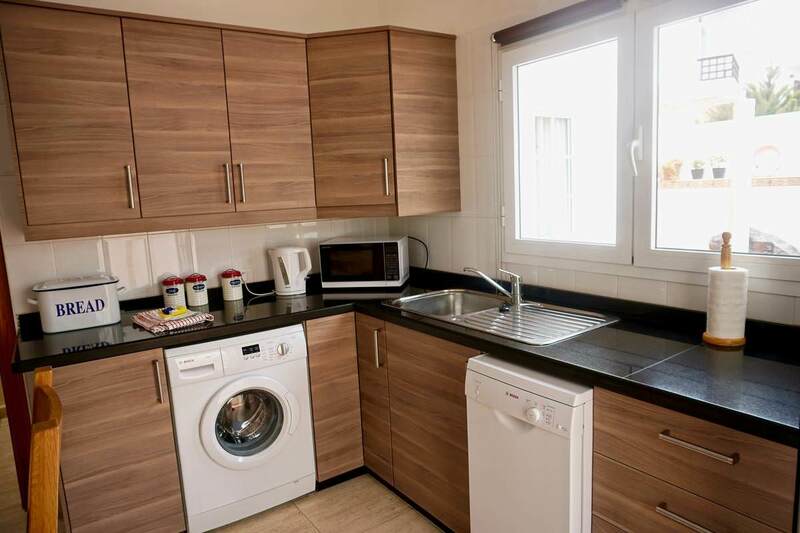 Kitchen including oven, microwave, washing machine and dishwasher. 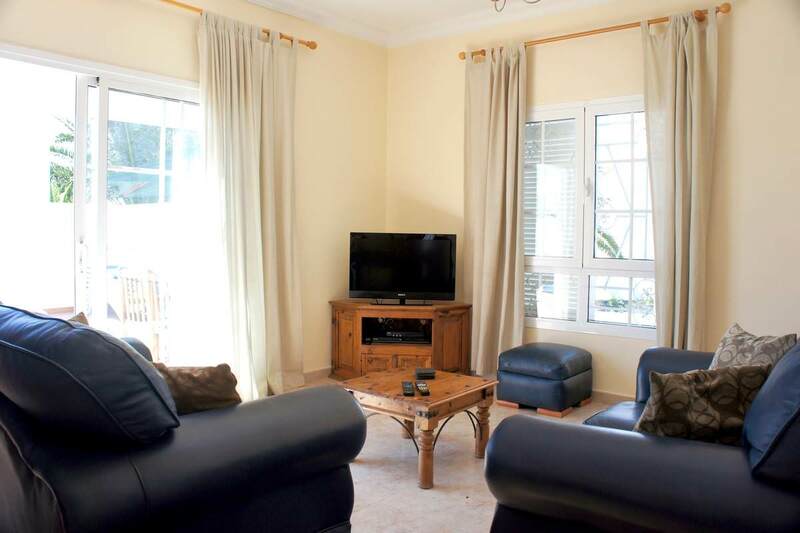 Lounge with wooden furniture, leather sofas, TV, DVD and audio system. 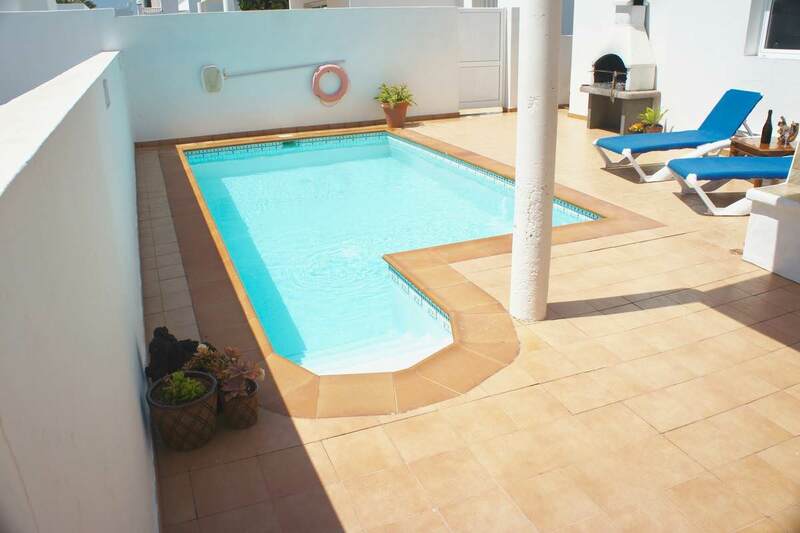 Terrace with fully heated private swimming pool. 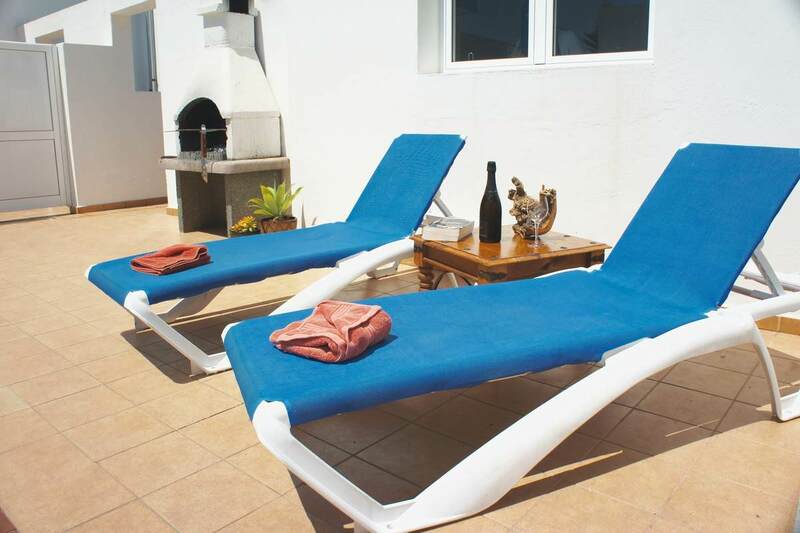 Hot tub, barbecue, patio furniture and sun loungers. Arrival day is Thursday. 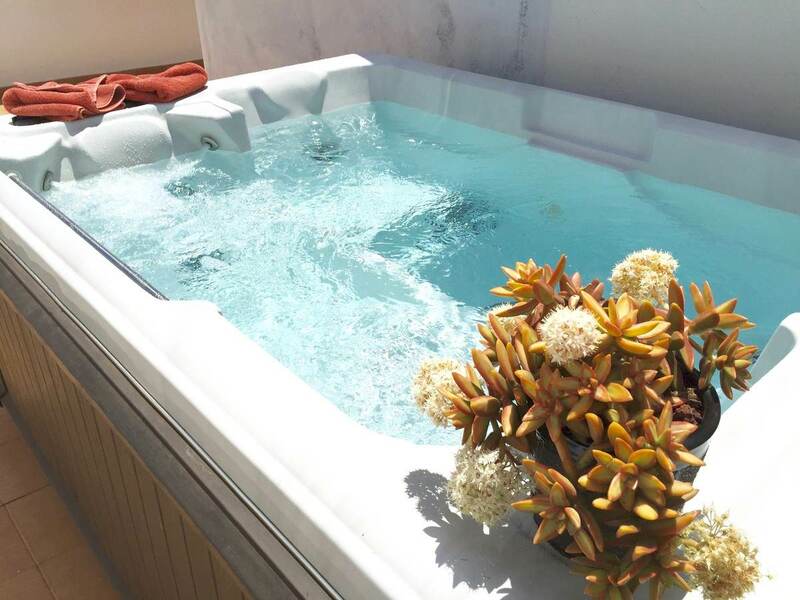 On Sunday’s we have towel change, as well as a check-up on the pool and hot tub by our cleaning team. Television, DVD player and audio system. Available for browsing web, social media, emails. Not suitable for TV streaming or downloading. Wooden furniture, decorative wall art, tiled floor, 2 leather sofas. Oven, hob, microwave, washing machine, dishwasher, fridge freezer, kettle, toaster, coffee maker, iron and ironing board. 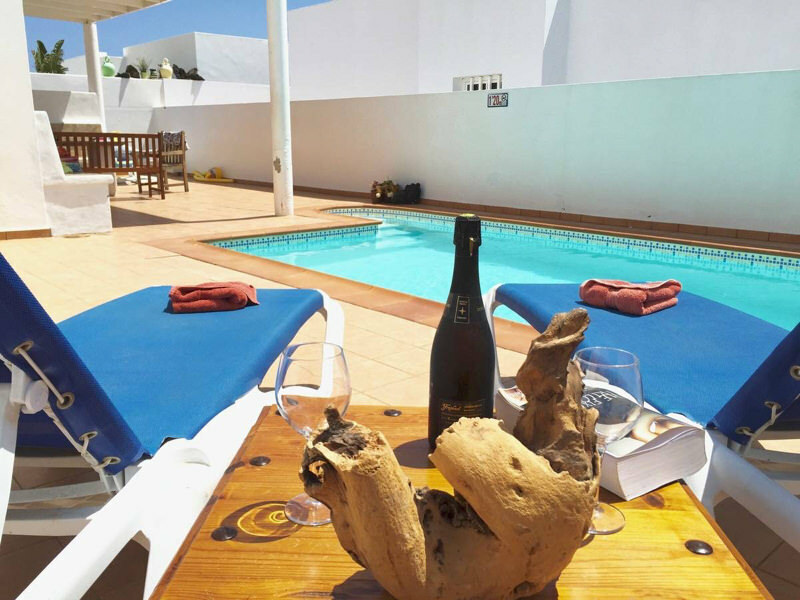 Fully heated pool including sunken steps and thermal blanket cover, eight person hot tub, shaded pergola area, 6 sunbeds including mats and cushions, beach towels, garden seating with table for outside dinning. 1 One king bedroom, and two twin bedrooms. 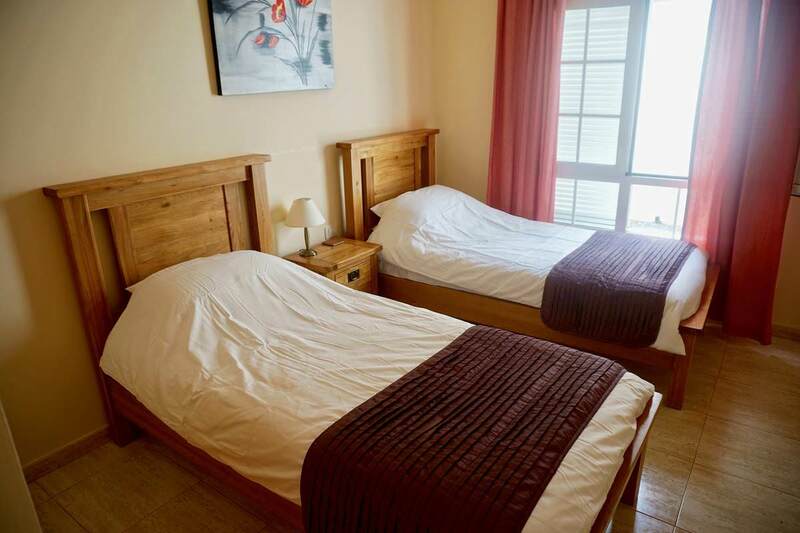 Beds are finished with cotton sheets and duvet with a complimenting bed throw. Cot and high chair available upon request. Two full bathrooms with shower over bath, hand and bath towels and hairdryer. Well what can I say, fantastic company to book with, fantastic villa, fantastic services whilst your there with Adrian. 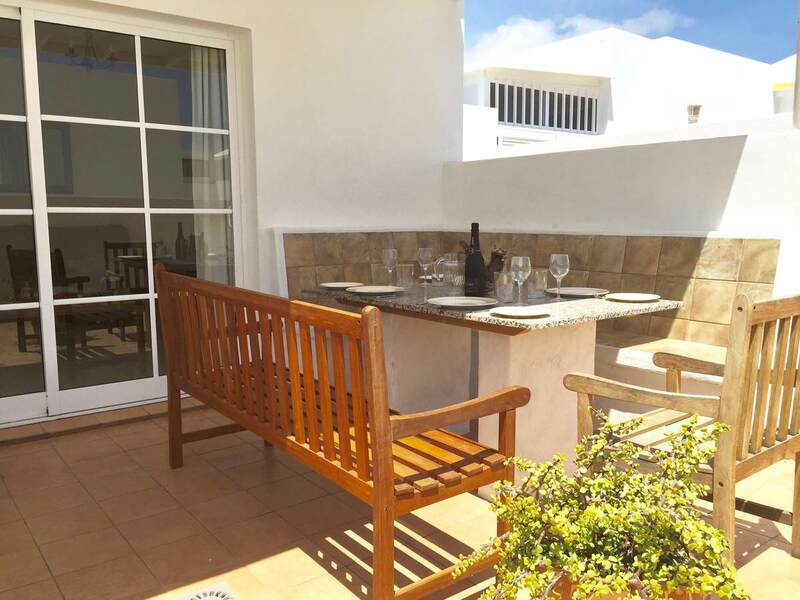 We had the best two weeks ever in Lanzarote with Villa Sun, Adrian is a star we had a few issues with regards the TV and hairdryer and the guy just sorted it in the flick of a wrist he is a credit to Villa Sun. 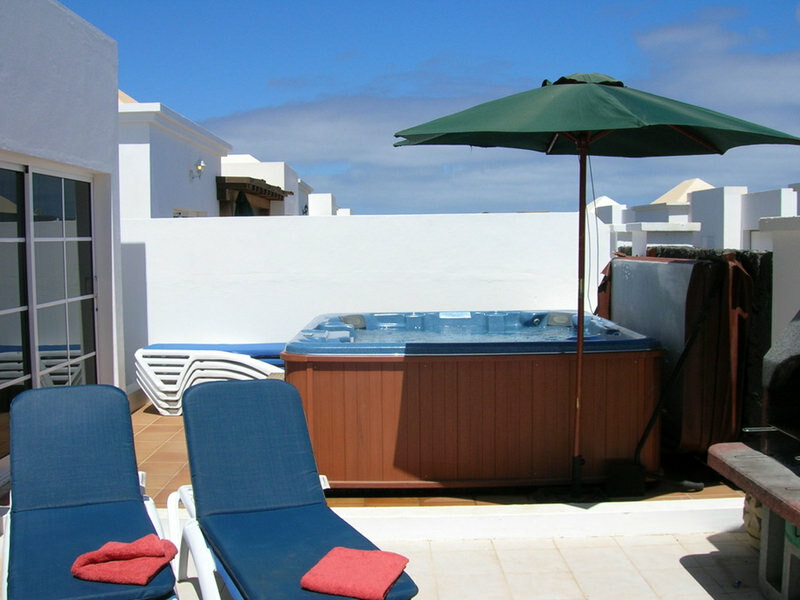 The villa was very clean and well kept, the pool and hot tub service team visited a few times as well as the towel and bedding change over over the two weeks and cleaning team where brilliant. I will recommend villa sun to anyone I know they was just GREAT. Thank you villa sun and your hardworking team. Paul Joanne Molly and Pat.